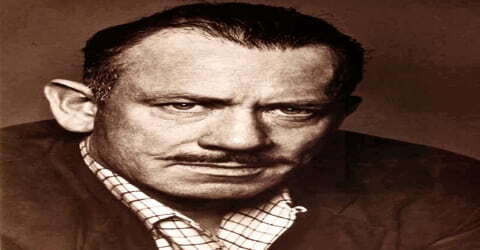 John Steinbeck – American author. 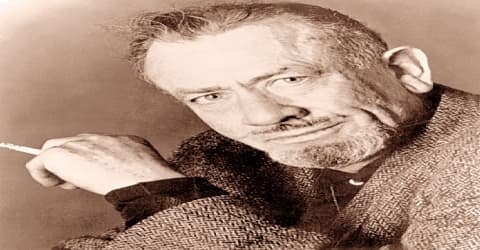 Name: John Ernst Steinbeck Jr.
John Steinbeck, American novelist, best known for The Grapes of Wrath (1939), which summed up the bitterness of the Great Depression decade and aroused widespread sympathy for the plight of migratory farm workers, was born on February 27, 1902, in Salinas, California, the only son of John Ernst Steinbeck Sr. and Olive Hamilton. 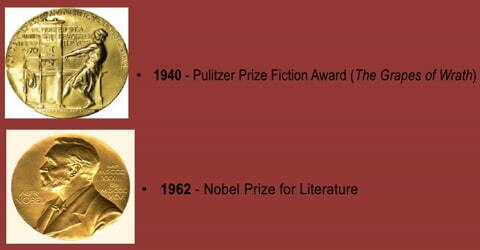 He won the 1962 Nobel Prize in Literature “for his realistic and imaginative writings, combining as they do sympathetic humor and keen social perception.” He has been called “a giant of American letters,” and many of his works are considered classics of Western literature. 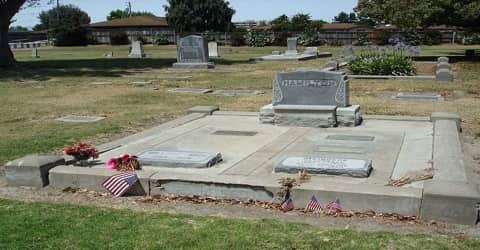 He was a famous American author known for his novels of rustic settings, like ‘Of Mice and Men’, ‘Tortilla Flat’, ‘The Grapes of Wrath’, and ‘East of Eden’, amongst several others. This talented writer has inked as many as sixteen novels amongst a total of twenty-seven publications. Most of his works are set in California, where he was born and raised. He drew inspiration for his characters from people he came into contact with each day. Particularly close and influential was his friend, marine biologist, Ed Ricketts. The novel, ‘Tortilla Flat’, was the first successful book, and from then on, each literary work produced by this great writer has achieved critical success. Blunt and crisp in its tone, his books have also been the subject of controversy, often being banned, particularly in schools, for its use of obscene language. The Pulitzer Prize-winning The Grapes of Wrath (1939) is considered Steinbeck’s masterpiece and part of the American literary canon. In the first 75 years after it was published, it sold 14 million copies. In the late 20th century, this writer became one of the most banned authors around the world. Years after his death, he is still considered one of the pioneering writers of American classics. John’s mother, Olive Hamilton (1867–1934), a former school teacher, shared Steinbeck’s passion for reading and writing. His favorite book and the main influence on his writing was Sir Thomas Malory’s (c. 1408–1471) Le Morte d’Arthur, a collection of the legends of King Arthur. Steinbeck decided while in high school that he wanted to be a writer. He also enjoyed playing sports and worked during the summer on various ranches. 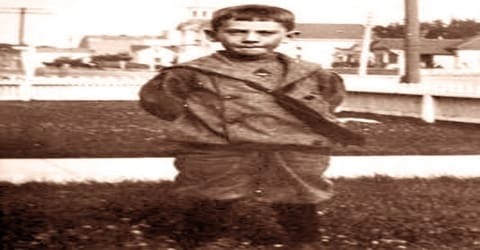 The young boy was raised as an Episcopal Christian, but he later became a sceptic. The rural area in which he was brought up later became the backdrop for most of his literary works. In 1919, he completed his education from the ‘Salinas High School’, and went on to pursue a degree in Literature from the ‘Stanford University’. Steinbeck attended Stanford University, Stanford, California, intermittently between 1920 and 1926 but did not take a degree. Before his books attained success, he spent considerable time supporting himself as a manual labourer while writing and his experiences lent authenticity to his depictions of the lives of the workers in his stories. He spent much of his life in Monterey county, California, which later was the setting of some of his fiction. In 1925, Steinbeck traveled to New York (by way of the Panama Canal) on a freighter (boat that carries inventory). After arriving in New York, he worked as a reporter and as part of a construction crew building Madison Square Garden. During this time he was also collecting impressions for his first novel. Cup of Gold (1929) was an unsuccessful attempt at romance involving the pirate Henry Morgan. In 1930, Steinbeck met marine biologist and writer, Ed Ricketts, who became a close friend, and served as a model for several of Steinbeck’s characters. Steinbeck’s wife began working at the lab as secretary-bookkeeper. Steinbeck helped on an informal basis. They formed a common bond based on their love of music and art, and John learned biology and Ricketts’ ecological philosophy. When Steinbeck became emotionally upset, Ricketts sometimes played music for him. 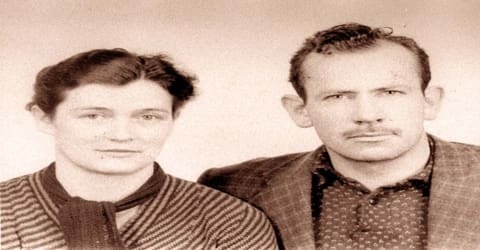 John Steinbeck was married thrice, first with Carol Henning, in the year 1930, whom he divorced after twelve years of matrimony. In 1942, he married Gwyndolyn Conger, with whom he had two sons, Thomas and John, but the relationship did not last long, and the couple separated after six years. In May 1948, Steinbeck returned to California on an emergency trip to be with his friend Ed Ricketts, who had been seriously injured when a train struck his car. Ricketts died hours before Steinbeck arrived. Upon returning home, Steinbeck was confronted by Gwyn, who asked for a divorce, which became final in August. Steinbeck spent the year after Ricketts’ death in a deep depression. 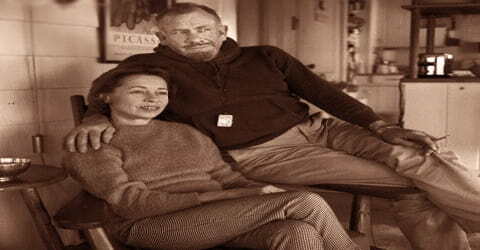 Steinbeck met stage-manager Elaine Scott at a restaurant in Carmel, California, in June 1949. He and Scott eventually began a relationship and in December 1950 Steinbeck and Scott married, within a week of the finalizing of Scott’s own divorce from actor Zachary Scott. This third marriage for Steinbeck lasted until his death in 1968. Steinbeck’s first novel, Cup of Gold, published in 1929, is loosely based on the life and death of privateer Henry Morgan. It centers on Morgan’s assault and sacking of the city of Panama, sometimes referred to as the ‘Cup of Gold’, and on the women, fairer than the sun, who were was to be found there. The book, however, was not received well by readers across the country. In 1932, he published the book, ‘The Pastures of Heaven’, which comprised of twelve short stories that were linked to each other. The next year, he wrote ‘The Red Pony’ and his second novel, ‘To a God Unknown’, both of which were only moderately successful. 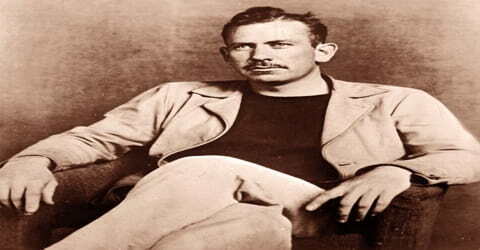 With Tortilla Flat (1935) Steinbeck received critical and popular success; there are many critics who consider it his most artistically satisfying work. 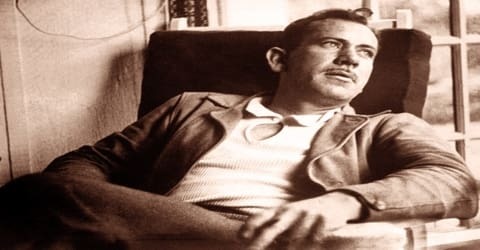 Steinbeck achieved his first critical success with Tortilla Flat (1935), a novel set in post-war Monterey, California, that won the California Commonwealth Club’s Gold Medal. It portrays the adventures of a group of classless and usually homeless young men in Monterey after World War I, just before U.S. prohibition. The same year, he became a member of the ‘League of American Writers’, where he was inspired by the works of Communist writers, Ella Winter, and Lincoln Steffens. Steinbeck next dealt with the problems of labor unions in In Dubious Battle (1936), an effective story of a strike (when workers all decide to stop working as a form of protest against unfair treatment) by local grape pickers. The book talks about a protest led by Californian fruit pickers, and aided by the assumed ‘Communist Party’. Of Mice and Men (1937), first conceived as a play, is a tightly constructed novella (short novel) about an unusual friendship between two migrant workers (laborers who travel to wherever there is available work, usually on farms). Although the book is powerfully written and often moving, some critics feel that it lacks a moral vision. In 1939, the third part of the ‘Dustbowl’ trilogy, ‘The Grapes of Wrath’ was printed. The book subtly but heavily supported the working class, and condemned capitalism. This led to the book being banned for several years, including in recent times, when a Mississippi school board prohibited the book for its abundant use of expletives. ‘The Grapes of Wrath’ relates the struggle of a family of Oklahoma tenant farmers forced to turn over their land to the banks. The family then journeys across the vast plains to the promised land of California only to be met with scorn when they arrive. It is a successful example of social protest in fiction, as well as a convincing tribute to man’s will to survive. According to The New York Times, it was the best-selling book of 1939 and 430,000 copies had been printed by February 1940. In that month, it won the National Book Award, favorite fiction book of 1939, voted by members of the American Booksellers Association. ‘The Grapes of Wrath’ won a Pulitzer Prize and a National Book Award and was made into a notable film in 1940. The film versions of The Grapes of Wrath and Of Mice and Men (by two different movie studios) were in production simultaneously, allowing Steinbeck to spend a full day on the set of The Grapes of Wrath and the next day on the set of Of Mice and Men. Another novel by John, ‘The Moon Is Down’, published in 1942, describing a resistance movement held in Northern Europe, became quite popular with readers. The book was adapted into a movie, and it was presupposed that the resistance was being held in Norway, against the Nazis. During World War II (1939–45), which the United States entered to help other nations battle Germany, Italy, and Japan, Steinbeck served as a foreign correspondent. From this experience came such nonfiction as Bombs Away: The Story of a Bomber Team (1942); Once There Was a War (1958), a collection of Steinbeck’s dispatches from 1943; and A Russian Journal (1948), with photographs by Robert Capa. More interesting nonfiction of this period is The Sea of Cortez, coauthored with scientist Edward F. Ricketts. This account of the two explorers’ research into sea life provides an important key to many of the themes and attitudes featured in Steinbeck’s novels. In 1943, this prolific writer worked for the ‘New York Herald Tribune’, and the ‘Office of Strategic Services’, reporting on the events of World War II. Recent research also suggests that he had connections with the CIA, though it is still undetermined as to what his job was. After the war ended, Steinbeck returned home and continued writing to cope with his depression and physical injuries. During 1944-45, he penned the scripts for ‘Lifeboat’, a film by Alfred Hitchcock, and Irving Pichel’s ‘A Medal for Benny’. His immediate postwar work Cannery Row (1945), The Pearl (1947), and The Wayward Bus (1947) contained the familiar elements of his social criticism but were more relaxed in approach and sentimental in tone. In 1947, Steinbeck made the first of many quantify trips to the Soviet Union, this one with photographer Robert Capa. They visited Moscow, Kiev, Tbilisi, Batumi, and Stalingrad, some of the first Americans to visit many parts of the USSR since the communist revolution. Steinbeck’s 1948 book about their experiences, A Russian Journal, was illustrated with Capa’s photos. In 1948, the year the book was published, Steinbeck was elected to the American Academy of Arts and Letters. Two years later, Steinbeck wrote the novel, ‘The Pearl’, with the assumption that it was going to be adapted into a movie. In 1952, he penned his longest running book, ‘East of Eden’, and also starred as the narrator for the movie, ‘O. Henry’s Full House’. ‘East of Eden’, which deals with the story of the families, the Trasks and the Hamiltons, with biblical references, was made into a movie, a few years later. From 1954-61, he published the novels, ‘Sweet Thursday’, and ‘The Winter of Our Discontent’, as well as a travelogue titled ‘Travels with Charley: In Search of America’. The travelogue talks about his adventures on a trip he takes with Charley, his dog, in a bid to rediscover America. 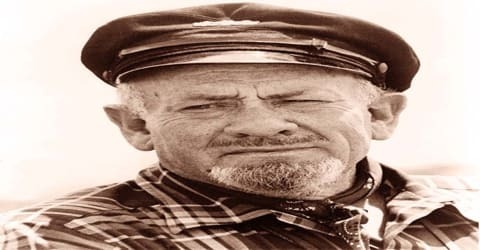 Steinbeck’s reputation rests mostly on the naturalistic novels with proletarian themes he wrote in the 1930s; it is in these works that his building of rich symbolic structures and his attempts at conveying mythopoeic and archetypal qualities in his characters are most effective. In 1940, this exceptional writer was honored with the ‘National Book Award’, and the ‘Pulitzer Prize’, for the novel, ‘The Grapes of Wrath’, which is the third novel from the ‘Dustbowl’ Trilogy. For his novel, ‘The Moon is Down’, published in 1945, this great writer was felicitated with the ‘Haakon VII Cross of Freedom’ for writing about the Norwegian resistance movement. In September 1964, John received the most prestigious civilian award, Presidential Medal of Freedom, from the then Head of State, Lyndon B. Johnson. In 1979, a stamp was issued by the US Government, with this famous writer’s portrait. In 2007, he was included posthumously in the California Hall of Fame for his contribution to the field of Literature. 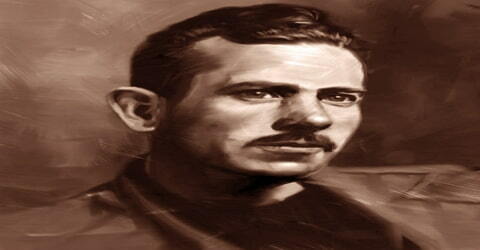 John Steinbeck died in New York City on December 20, 1968, of heart disease and congestive heart failure. He was 66 and had been a lifelong smoker. An autopsy showed nearly complete occlusion of the main coronary arteries. He was buried at Salinas, next to the graves of his parents and grandparents. Steinbeck’s first novel, Cup of Gold (1929), was followed by The Pastures of Heaven (1932) and To a God Unknown (1933), none of which were successful. He first achieved popularity with Tortilla Flat (1935), an affectionately told story of Mexican Americans. The mood of gentle humor turned to one of unrelenting grimness in his next novel, In Dubious Battle (1936), a classic account of a strike by agricultural laborers and a pair of Marxist labor organizers who engineer it. The novella Of Mice and Men (1937), which also appeared in play and film versions, is a tragic story about the strange, complex bond between two migrant laborers. ‘The Grapes of Wrath’ is considered to be one of Steinbeck’s greatest literary achievements. It is because of this book, that he earned the ‘Pulitzer Prize’ and the ‘National Book Award’ in 1940. This book, which has seen sales of more than fourteen million units, has been made into a movie featuring Jane Darwell and Henry Fonda. Steinbeck’s work remains popular in both the United States and Europe, chiefly for its social consciousness and concern and for the narrative qualities displayed in the early novels. Although he refused to settle into political conservatism (preferring to maintain traditions and resist change) in his later years, his all-embracing support of American values and acceptance of all national policies, including the Vietnam War (1955–75; conflict in which the United States fought against Communist North Vietnam when they invaded Democratic South Vietnam), lost him the respect of many liberal (preferring social change) intellectuals who had once admired his social commitments.